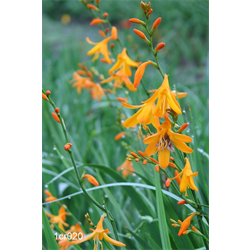 Crocosmia have delicate flowers held atop arching stems with sword-like foliage. Pricing is per package and per variety for crocosmia bulbs (quantity discounts apply). Buy bulbs online at Terra Ceia Farms.